I'm so excited that we've hit the three-year mark on our marriage. It's been a wild and crazy ride and I wouldn't have it any other way. I'm so happy to have that guy up there as my best friend and biggest supporter. Here are some things we experienced this past year. 1. Our two-year anniversary Atlanta staycation. It was so fun to get to use the CityPass to go some places we'd never been or hadn't been to in a while. 2. Going to a beer launch party - I won tickets on Instagram and it was so random and fun, but something we both really enjoyed it. 3. Our weekend trip to Savannah - it's amazing getting to travel together. 4. Going to the Atlanta Botanical Garden for my birthday. It was such a great birthday gift, even if it was one million degrees. 5. 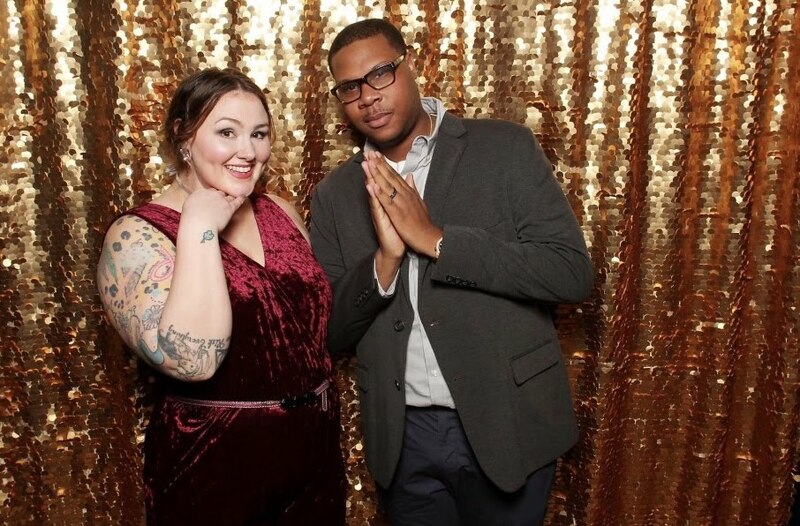 Hubby's work holiday party that happened in January because December got snowed out. 1. I'll be graduating, so I'm hoping to see some big life changes - maybe moving closer to Atlanta or purchasing a home. 2. Learning to always make the most of our time together, whether we're stuck at home or waiting while getting the care serviced - I'd love to see how our relationship continues to blossom even during those boring "adulting moments." 3. More travel. This will probably be on the list every single year, but I'd love to continue to gain new experiences together. 4. Take more pictures together. Hubby hates pictures honestly, and when I do take pictures they typically don't end up on the blog or social out of respect for him. BUT I would love for us to have more pictures of us together, just for us to look back on. 1. I started an insulin pump, which has been a pretty big deal and quite an adjustment. 2. Hubby bought a brand new car, and seriously that thing is slick. 3. We've both tried to be more invested in our health by making small changes to our daily habits. 1. Binge-watching our favorite tv shows together. 2. Individually doing our own things, like hubby playing video games or me reading all the books. 1. Happy third anniversary! I'm so glad to do this life with you. Check out more ideas for love and marriage. I love how you set this blog post up. I already knew all the things. Ha! HAPPY ANNIVERSARY TO TWO IF MY FAVORITE PEOPLE!!! Happy anniversary to you & your love!